« Gaela x Galdur puppies getting close! 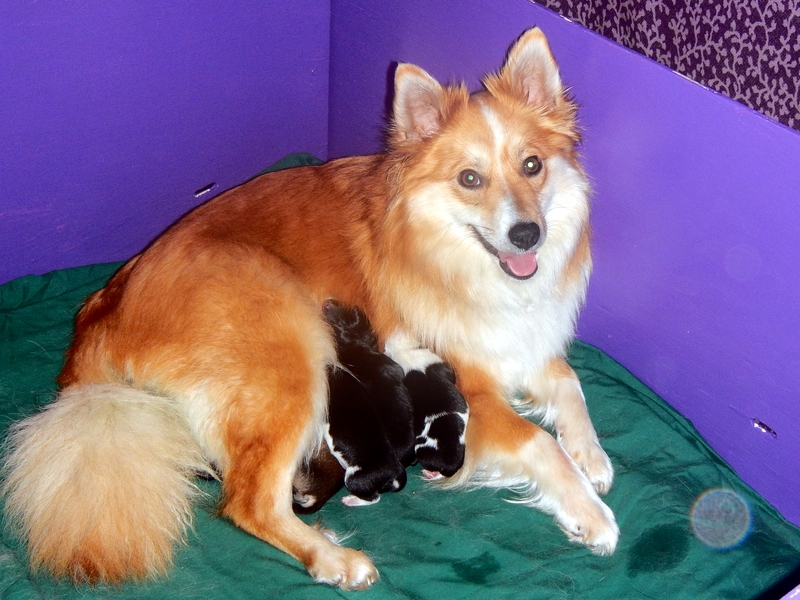 Just a quick note to announce a successful whelping of six gorgeous, healthy, happy new Icelandic Sheepdog puppies. She had a long labor overnight, and absolutely refused to stay in the whelping box, preferring the bottom of a closet that she helpfully emptied out. I decided that was fine, and stayed with her all night, needing a flashlight to see what was happening! She did great. There were often hours between puppies, which never happened with her mama, so I wasn’t sure when she was actually going to be finished. 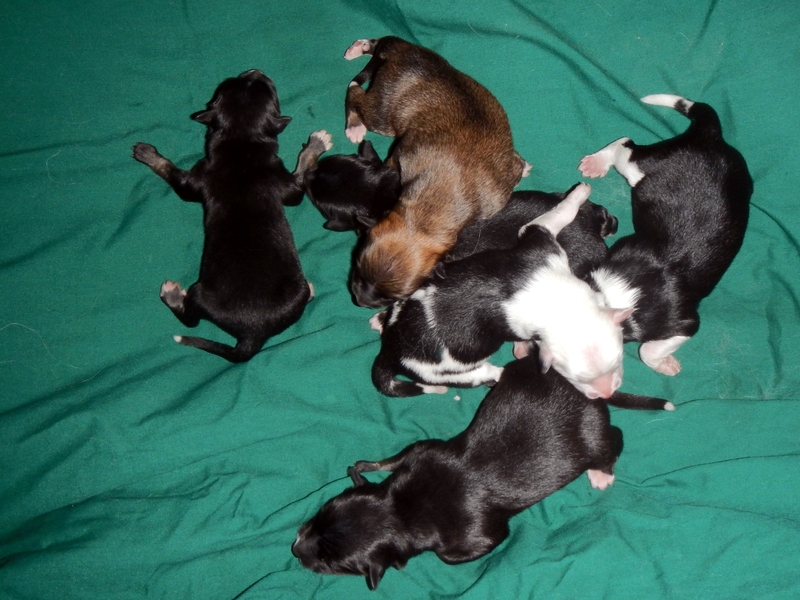 The longest gap was between puppies 3 and 4, and that puppy was huge when he finally arrived. The next two came pretty quickly after that, and we were done by about 4:30, after starting about 8 pm last night. Lots of black and white ones, which is no surprise, since Galdur and his mama are that color and pattern, as is Disa, Gaela’s mama. Preliminary look says 4 boys, 2 girls, but that was all done as they were delivered overnight, so no guarantees yet. After we’ve all had some sleep and they are well and truly bonded, we’ll take a much closer look. No surprise, she’s being a great mama. She’s fine with the whelping box now, too. Handy! This entry was posted in Dogs. Bookmark the permalink. Post a comment or leave a trackback: Trackback URL.